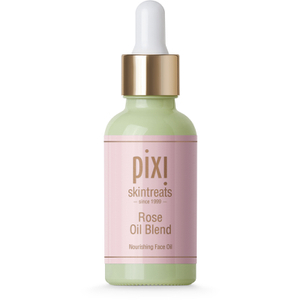 Treat your skin to the calming effects of PIXI Jasmine Oil Blend, a luxurious elixir that helps replenish lost moisture and radiance. 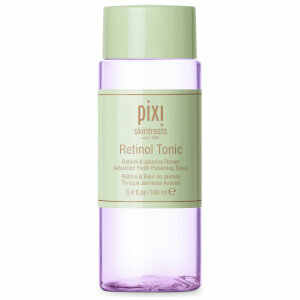 Formulated with a cocktail of Jasmine Flower extract, Evening Primrose and Grapeseed Oil, the reparative solution delivers healing and calming properties to help restore stressed, imbalanced skin. Rich in Omega-6 Oil and antioxidant Vitamin C, the oil blend will ensure dull, thirsty skin receives a healthy dose of hydration to help revive a healthy glow. Use AM and PM daily. 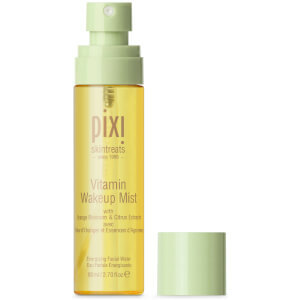 Warm a few drops in your hands and gently press onto cleansed, toned skin. For an extra boost of hydration, add 2-3 drops to your moisturiser before applying. Prunus Dulcis (Almond) Oil, Caprylic/Capric Triglyceride, Simmondsia Chinensis (Jojoba) Seed Oil, Helianthus Annuus (Sunflower) Seed Oil, Persea Gratissima (Avocado) Oil, Vitis Vinifera (Grape) Seed Oil, Rosmarin Us Officialis (Rosemary) Leaf Extract, Oryza Sativa (Rice) Bran Extract, Helianthus Annuus (Sunflower) Extract, Cocos Nucifera (Coconut) Oil, Tocopherol, Rosa Damascena Flower Oil, Punica Granatum Seed Oil, Anthemis Nobilis Flower Oil, Carthamus Tinctorius (Safflower) Seed Oil, Chamomilla Recutita (Matricaria) Flower Extract, Oenothera Blennis (Evening Primrose) Root Extract, Vaccinium Macrocarpon (Cranberry) Seed Oil, Salvia Hispanica Seed Oil, Tanacetum Annuum Flower Oil, Jasminum Officinale (Jasmine) Oil, Jasminum Officinale (Jasmine) Flower/Leaf Extract, Lavandula Angustifolia (Lavender) Flower/Leaf/Stem Extract, Eugenia Caryophyllus (Clove) Flower Extract, Vitis Vinifera (Grape) Fruit Extract, Boswellia Carterii Gum Extract. Made in USA.